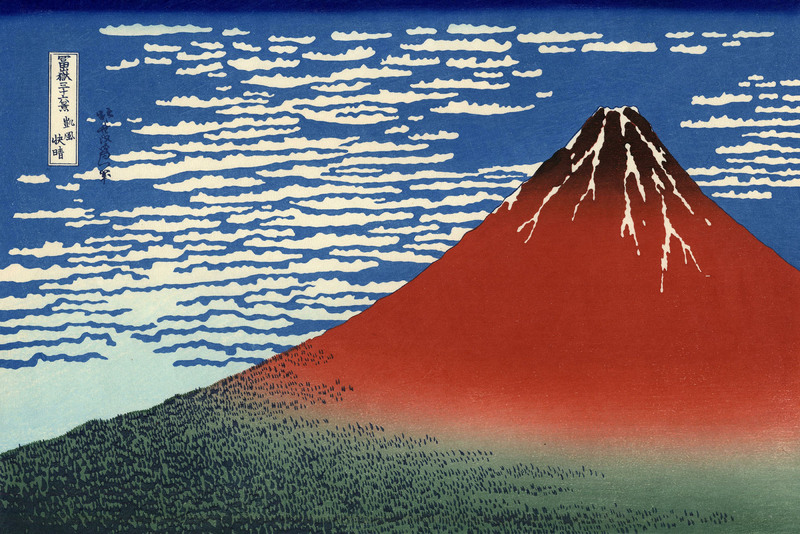 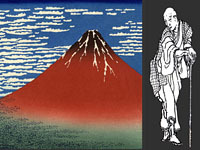 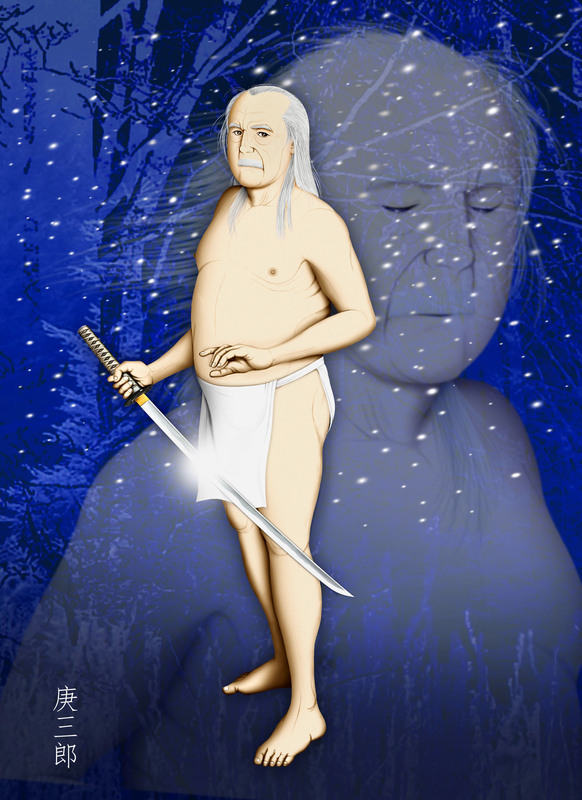 Melted snow flying about like a cloud of spray from a body of yamabushi. 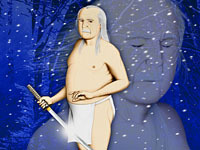 Melted snow gushing from the skin of yamabushi the itinerant Buddhist. 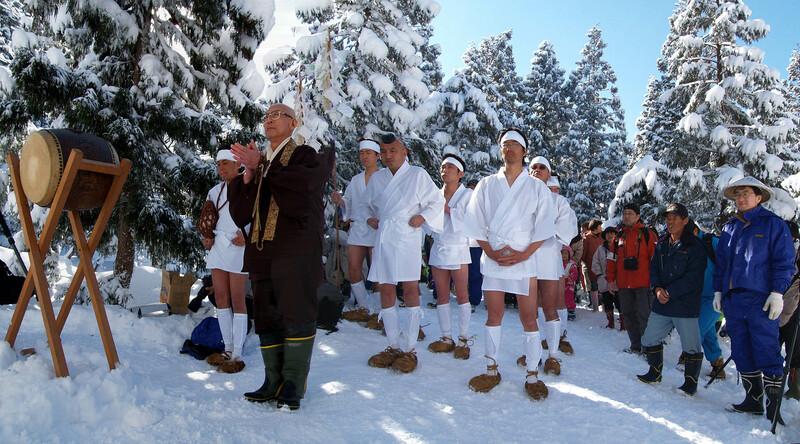 Snow-covered approach, Going to worship with candles in their arms. 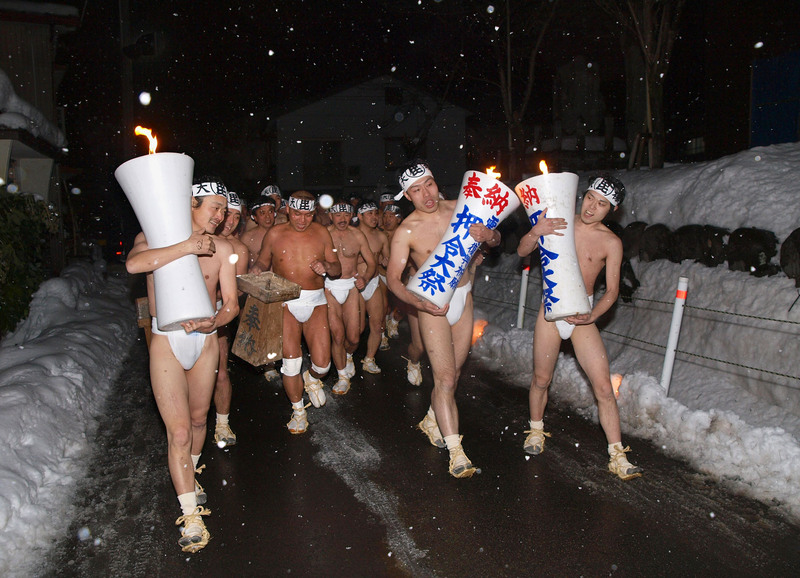 Night and snow, Jostling together wearing white loincloth. 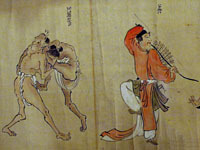 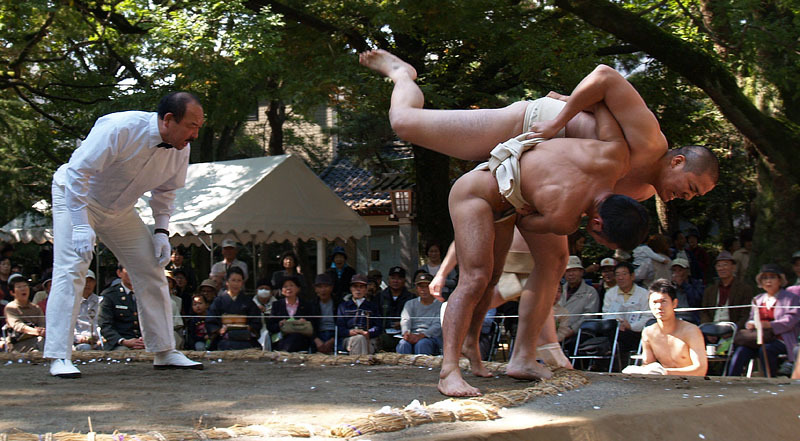 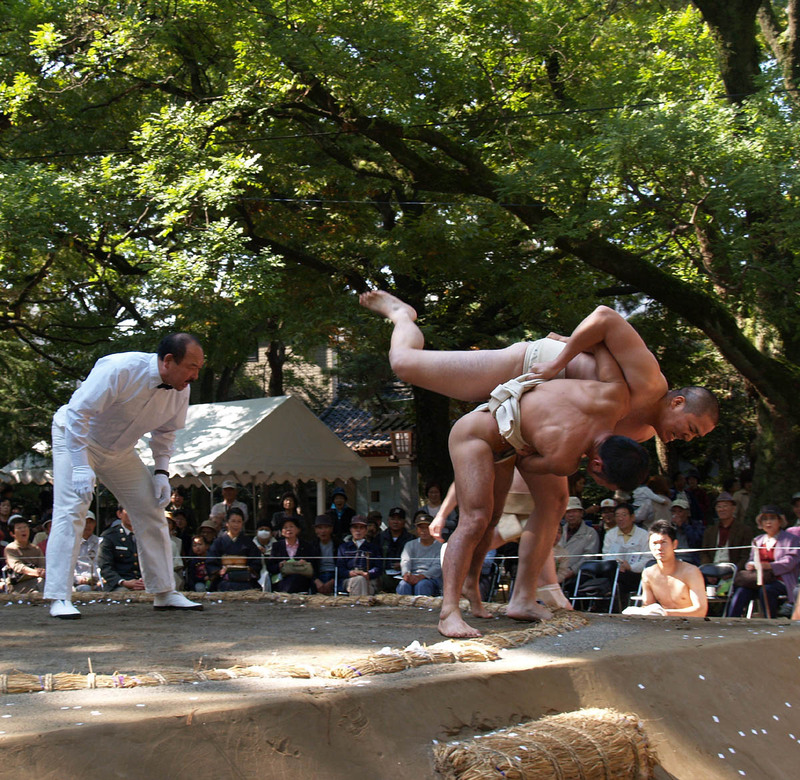 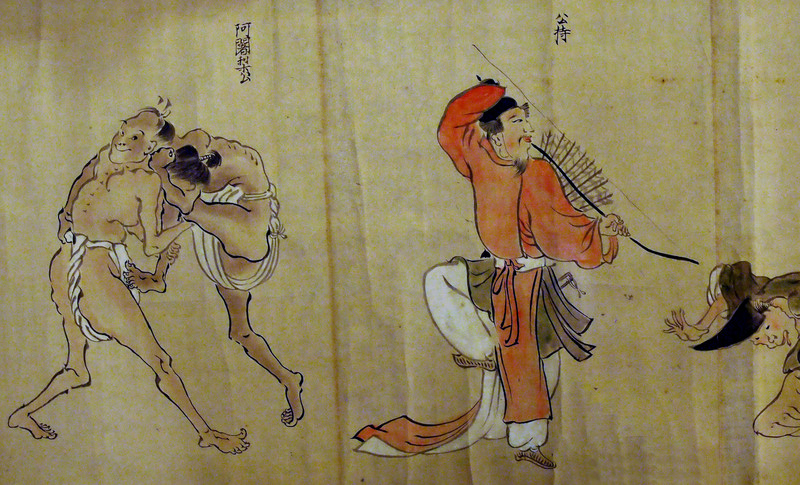 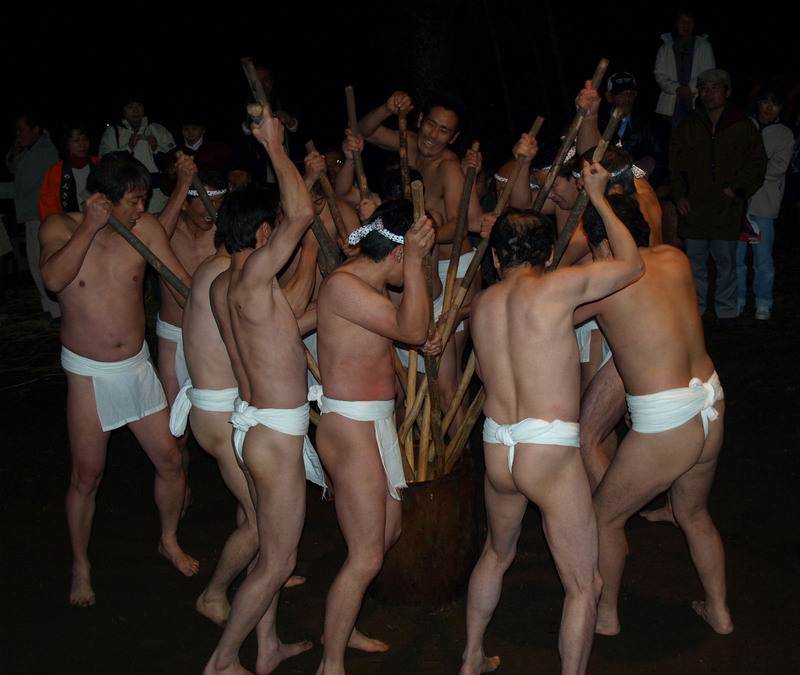 Pounding a rice cake, guys of fundoshi loincloth scrambling for a mortar. 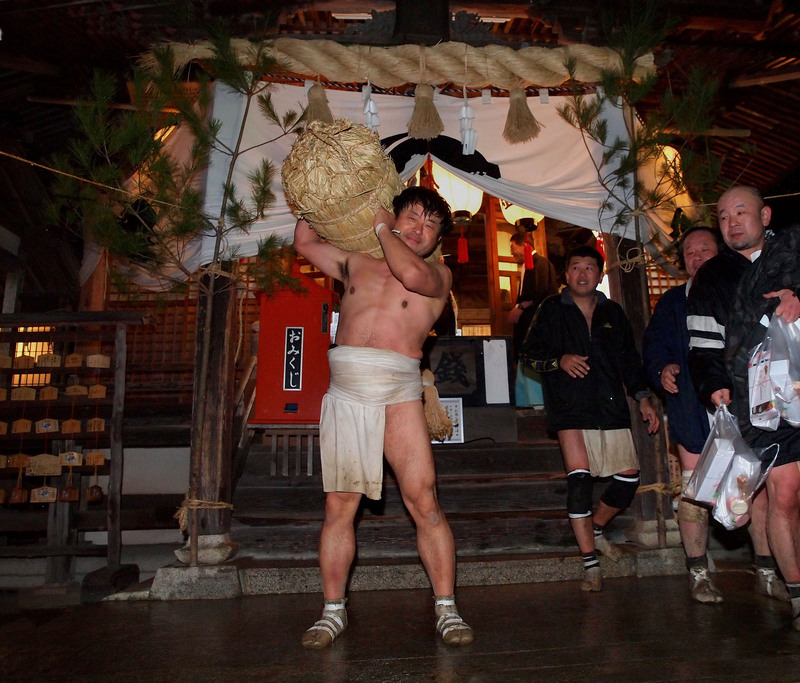 Pounding rice cakes, Men of muddy loincloths putting the mortar down. 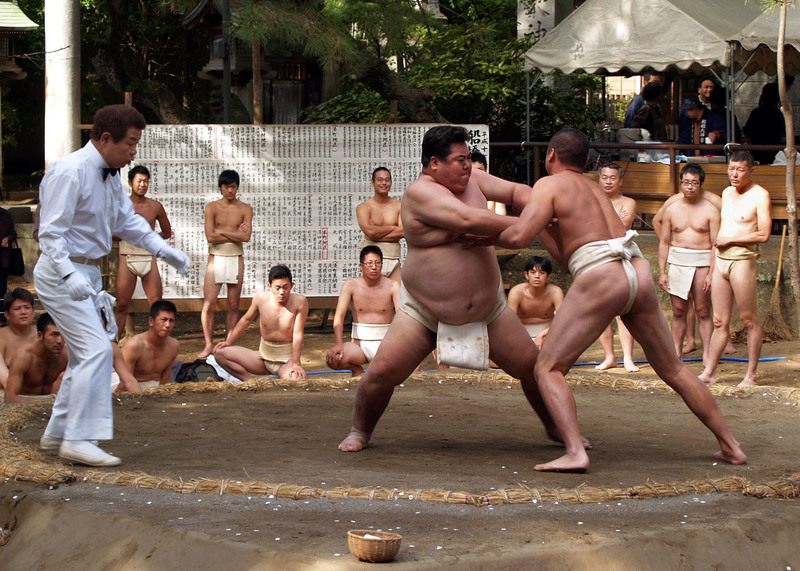 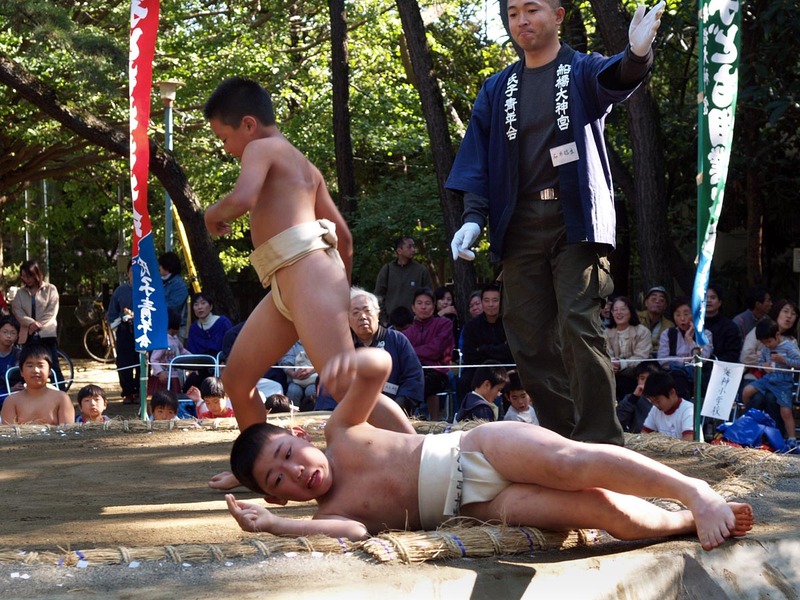 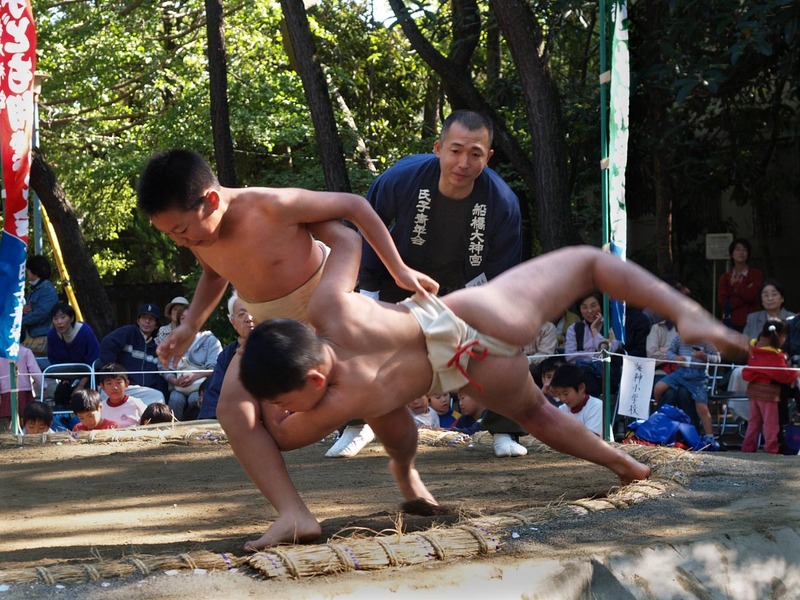 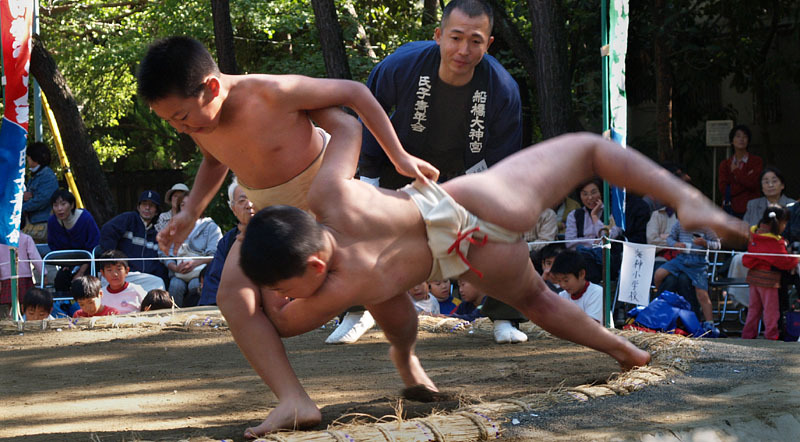 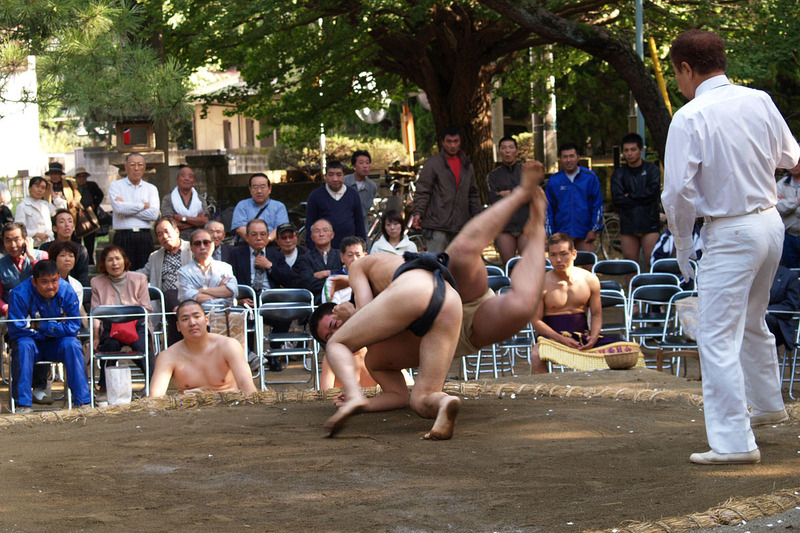 Ritual sumo wrestling, the boy's testicles happen to be exposed. 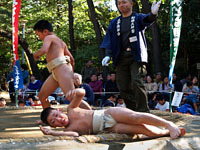 under the sun streaming through the leaves of trees. 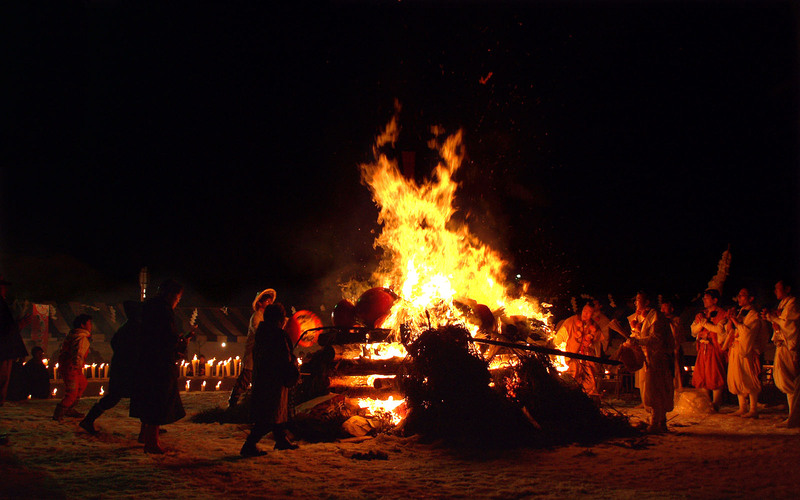 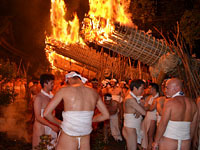 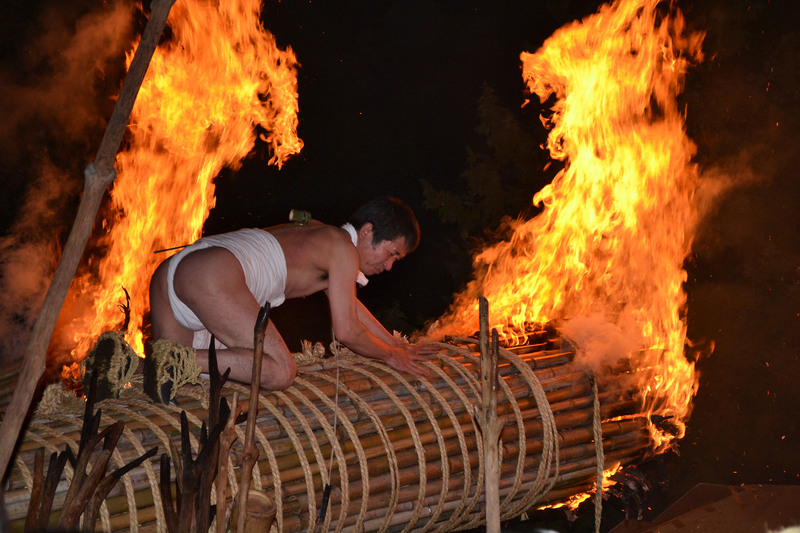 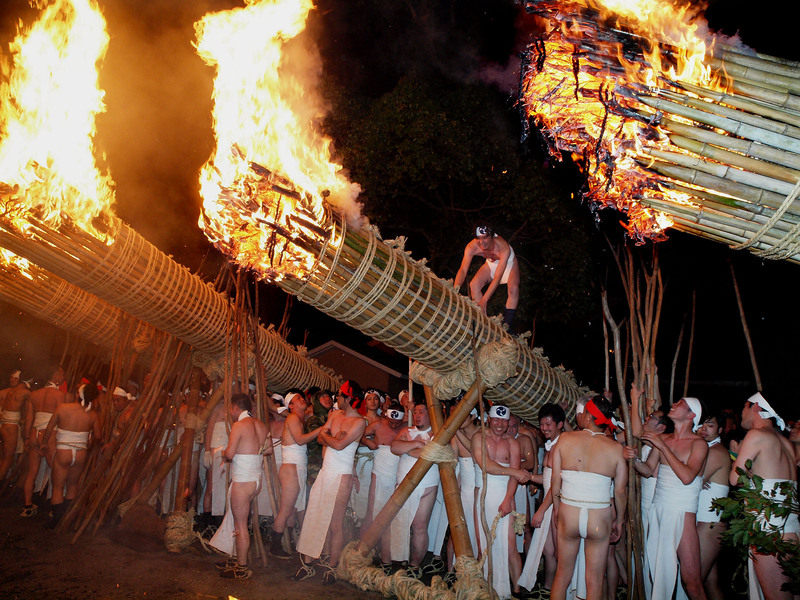 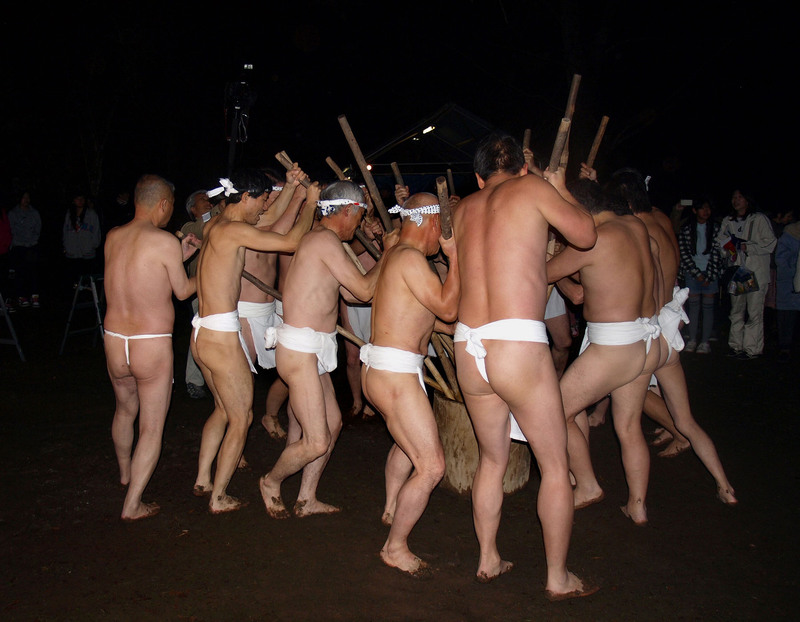 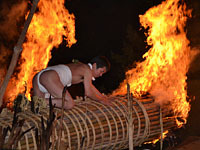 Teippon at the night of seventh day of the New Year, wearing white fundoshi loincloth. 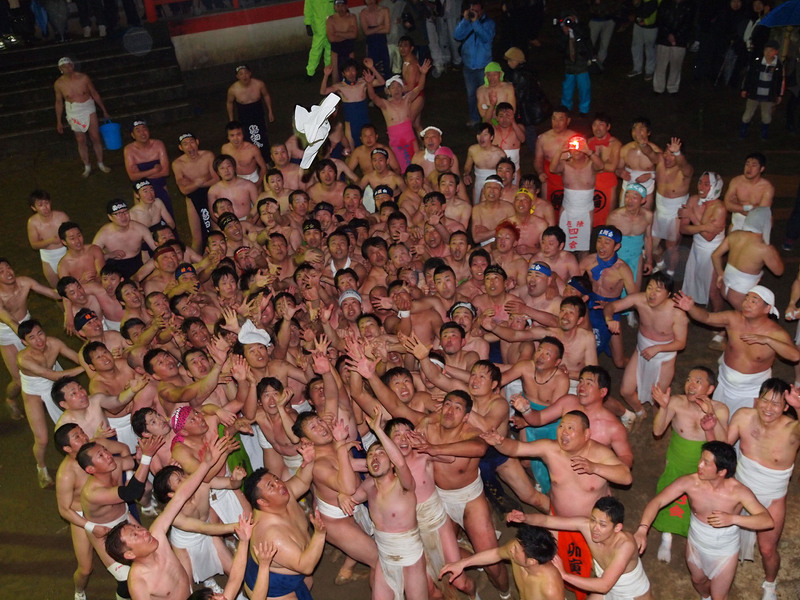 Ogre's Night Fundoshi, the bamboos exploding in the New Year. 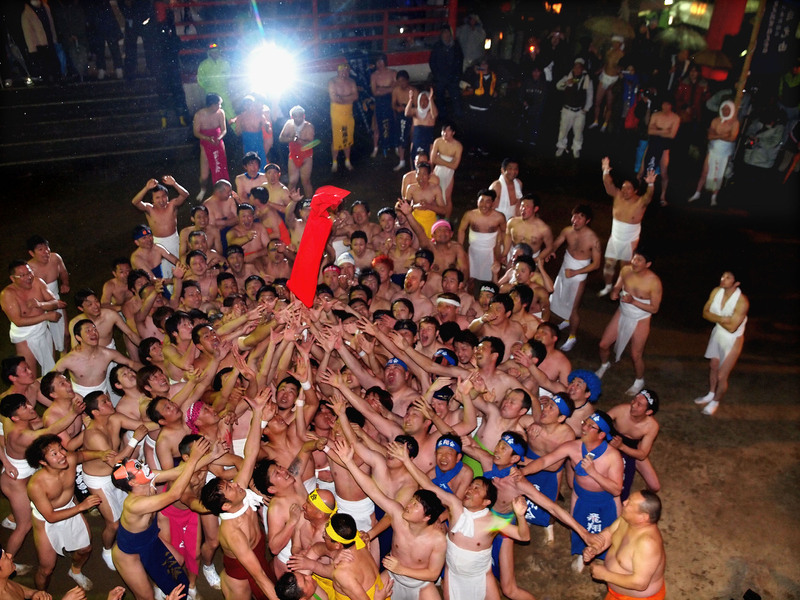 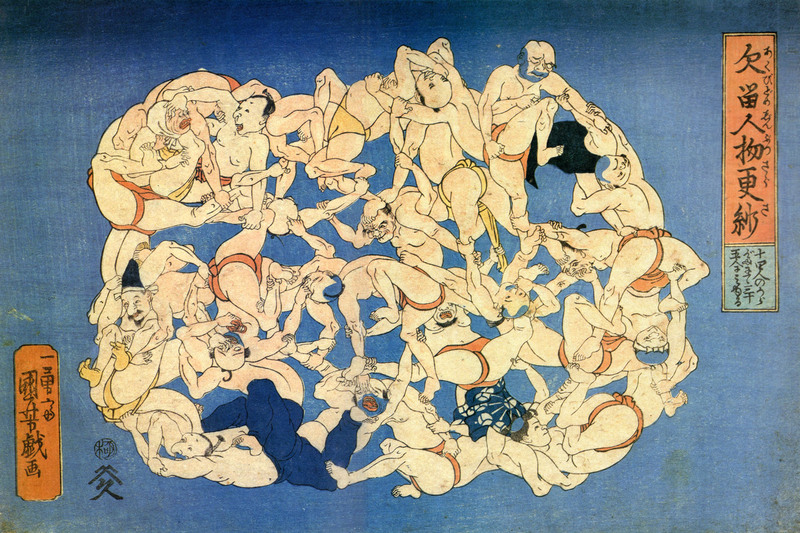 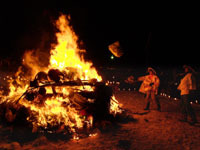 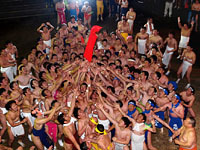 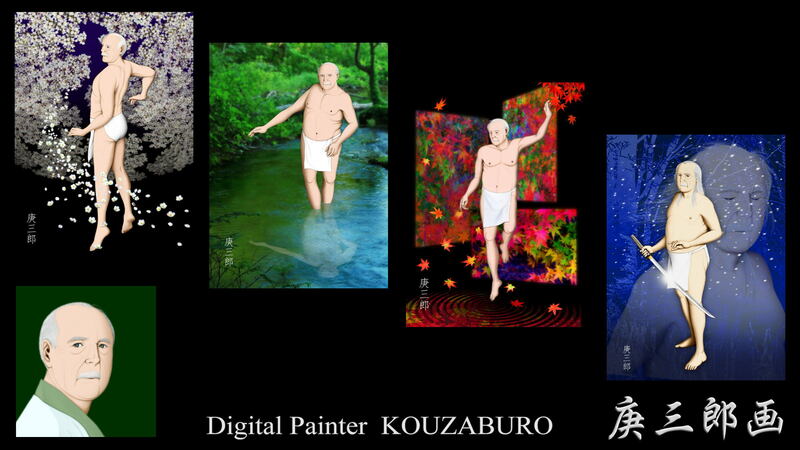 Men of fundoshi loincloth, the human vortex for a happiness tree at winter night. 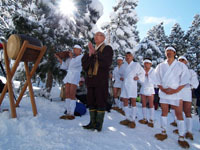 Village of Kui, the scramble for good fortune dispelling the cold. 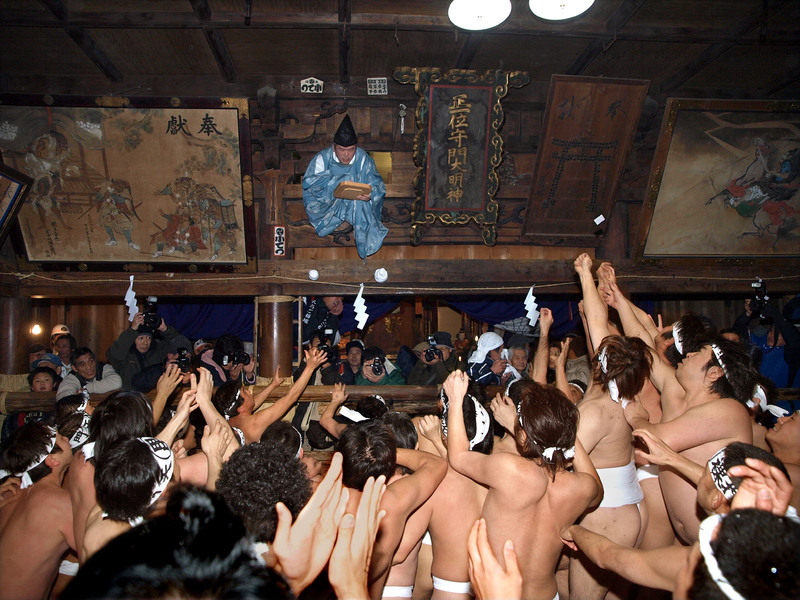 Blizzard of falling cherry blossoms in the sky, the fundoshi remaining white. 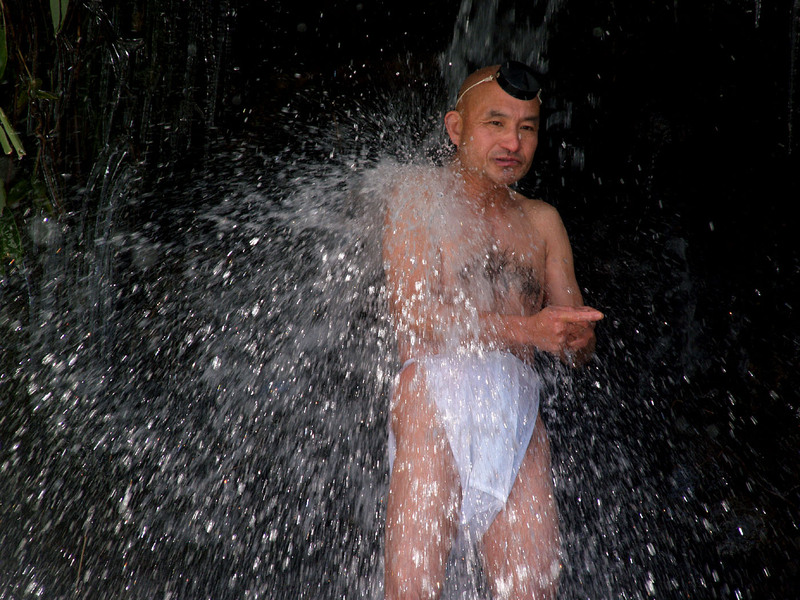 The white fundoshi swaying on a stream in the shade of trees.